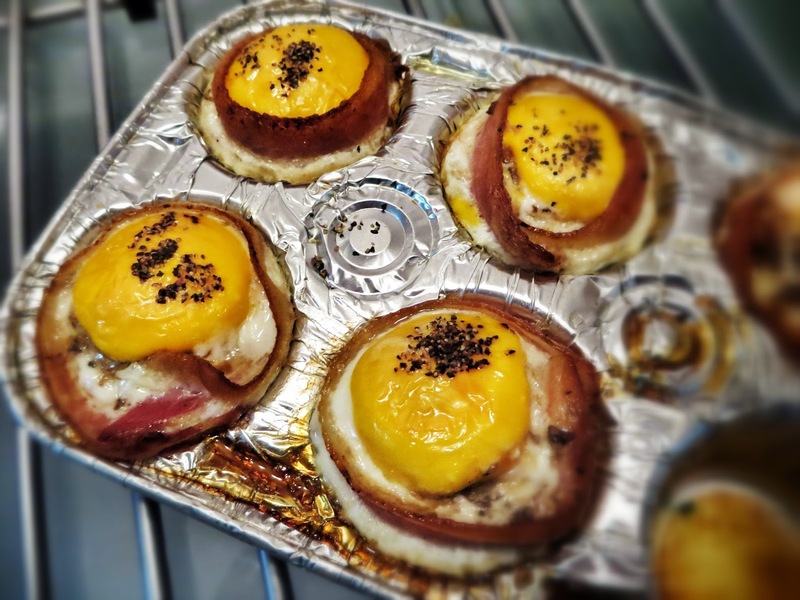 Posted on March 20, 2014 December 2, 2015 by Michelle L.
So there was this crazy thing going around on Facebook, via ViralNova about some breakfast cupcakes made of bread, egg and bacon. I showed it to my boyfriend and he was like, “let’s do it!” So we did. 1. 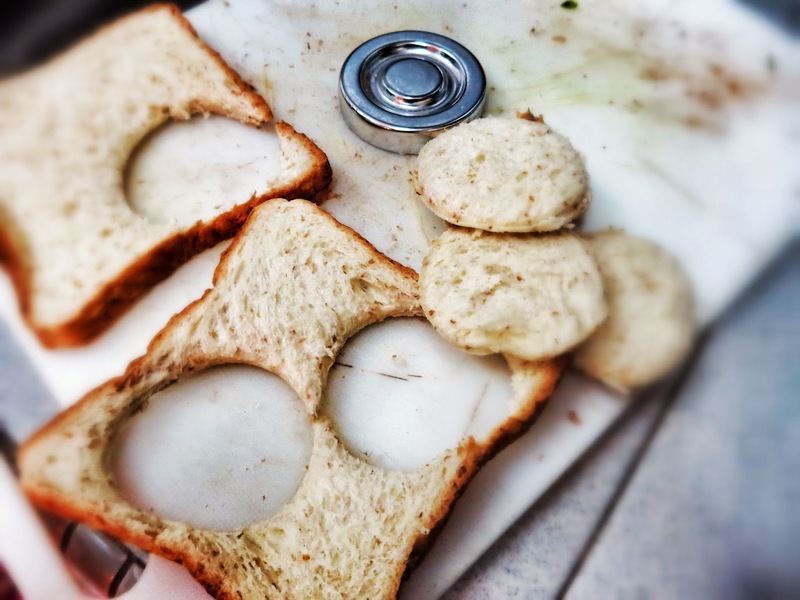 Cut your bread into circles that fit into your cupcake tin. Mine is quite tiny, so I used a jar cover that does the trick. 2. 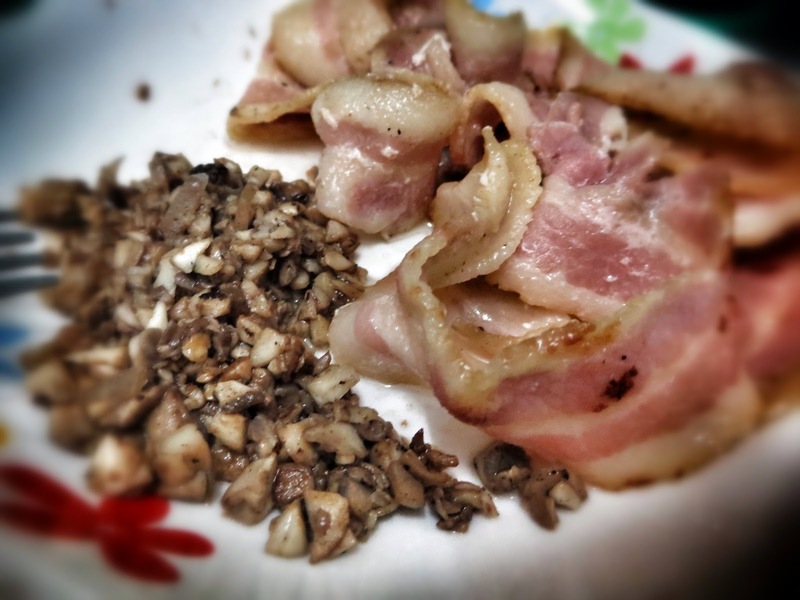 Fry your bacon in the pan, but not until it’s crispy. It will cook to crispiness in the oven later on. 3. Sauté the mushrooms with some salt and pepper separately. 4. 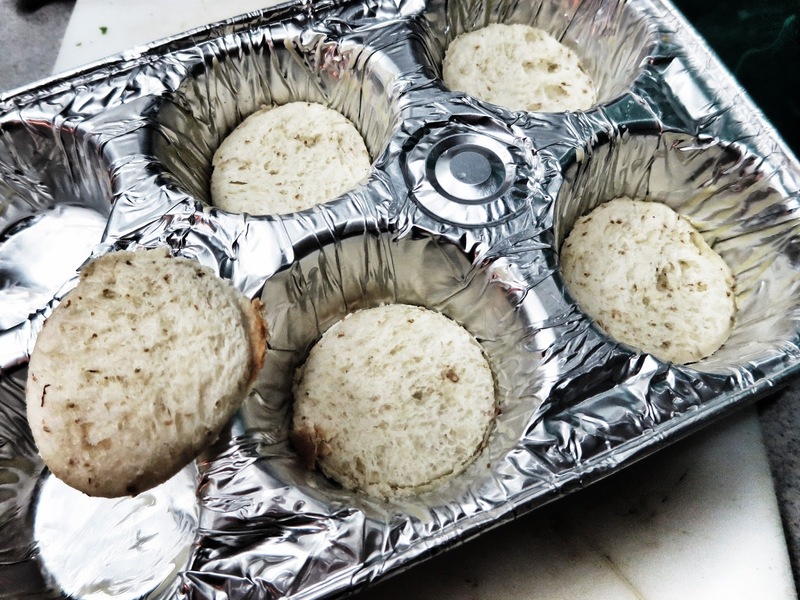 Use some butter to coat the pockets of your cupcake tin. This is to ensure it doesn’t stick. 5. Lay down your bread circles into each pocket. 6. 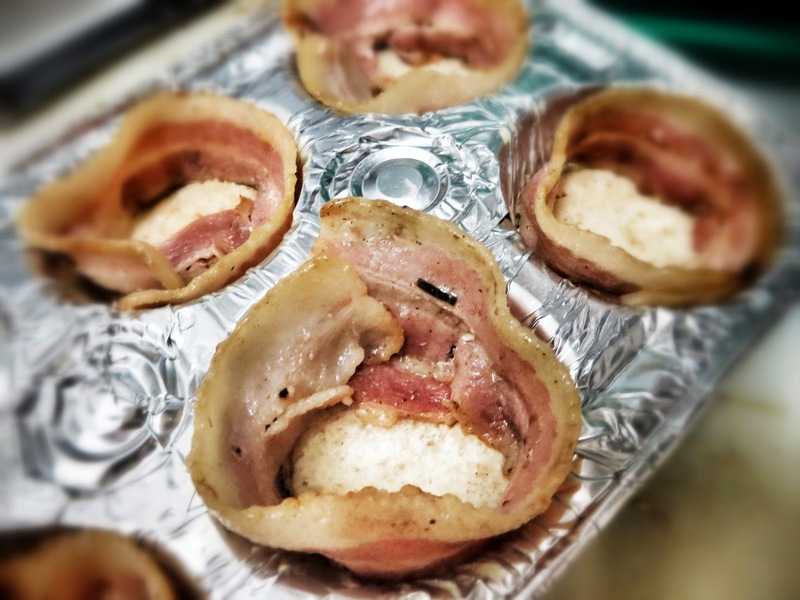 Use a slice of bacon (or two) and wrap it around the bread base, creating a cup. 7. Then fill in each cup with the mushrooms. 8. Lastly, crack an egg into each of the pockets, season the top with some salt & pepper, and pop into the oven to bake for 20-30 minutes. 9. 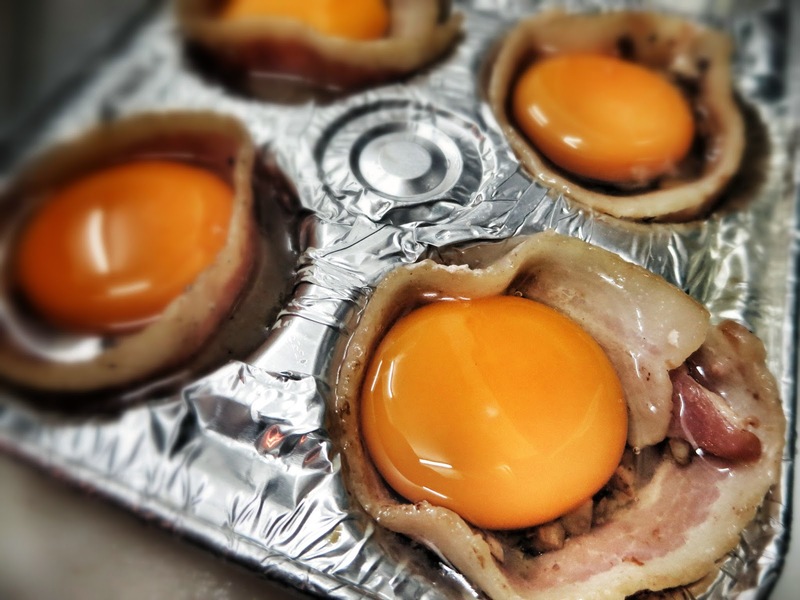 When the egg looks solid and not runny, take it out, leave to cool and enjoy! 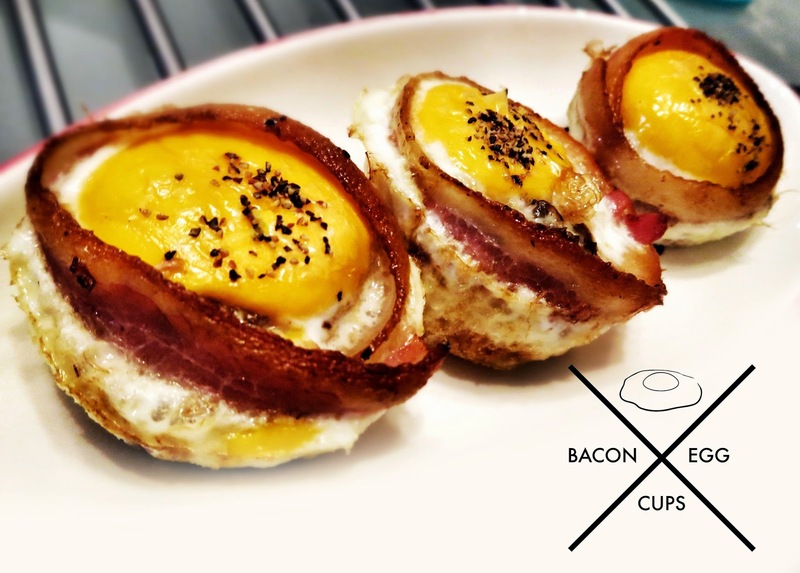 These bacon-egg cups can keep for up to one day. Best to consume immediately. fry them with butter to make croutons for your salad. Be sure to see that each bread circle fits! Create a cute cup around the bread base. We only used 1 strip of bacon, but you can opt to use more. Fill in the mushrooms into each cup. Then carefully crack an egg into each. Don’t let it spill over! 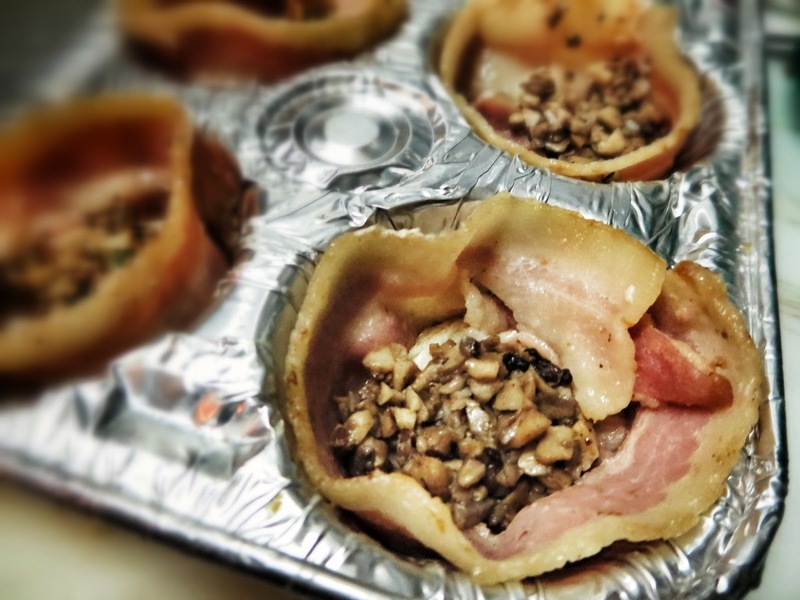 Pop these babies into the oven and wait. Voila! Yummy goodness straight from the oven! Challenge completed! 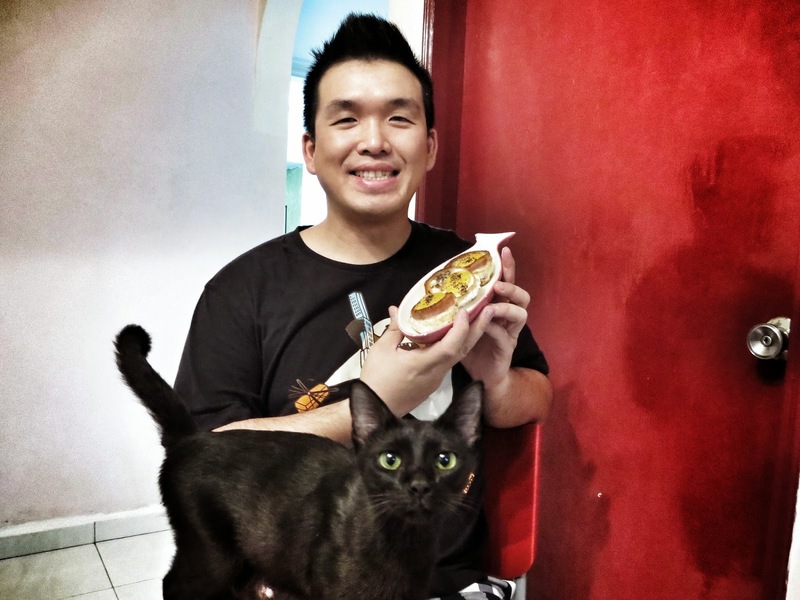 🙂 It smells so good, even my cat wants a piece of it. Like I said yesterday, GIVE ME SOME?! ❤ Hope to see you again ❤ hehe.